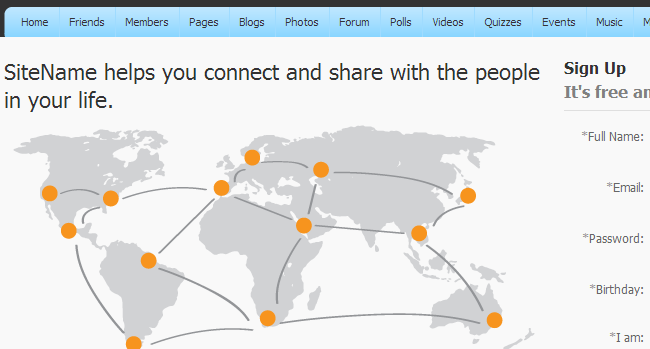 The registration page of a PHPFox website is presenting a world map image. However, the concept of representing that the community is world-wide may not match your actual needs. If you want to change that image to a custom one, which is related to the actual purpose of your PHPFox community, there is an easy way for achieving that. Log into your cPanel account and locate the File section. Then, simply click on the File Manager service. Rename the file called banner.png to something else. All done! When you access the front-end of your website, you will be able to see the new image placed properly.